We invite you to visit our small, but intimate, PianoWerkes showroom to experience the tonal warmth and touch precision of this revered American name in piano making. Eric Himy has played to critical acclaim in the United States, Argentina, Belgium, Bulgaria, Brazil, Chile, Russia and Spain. Most notably, he has been heard at Lincoln Center and Carnegie Recital Hall, both in New York City; The Kennedy Center in Washington, D.C.; Salle Gaveau in Paris; on National Public Radio’s Performance Today; and featured in CD performance and interview on New Mexico Radio KUNM. 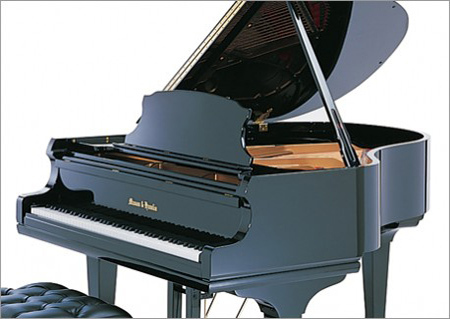 Commenting on Mason & Hamlin’s re-introduction of its nine-foot-four concert grand, which had been out of production since the 1960s, Eric Himy wrote this statement in 2005. 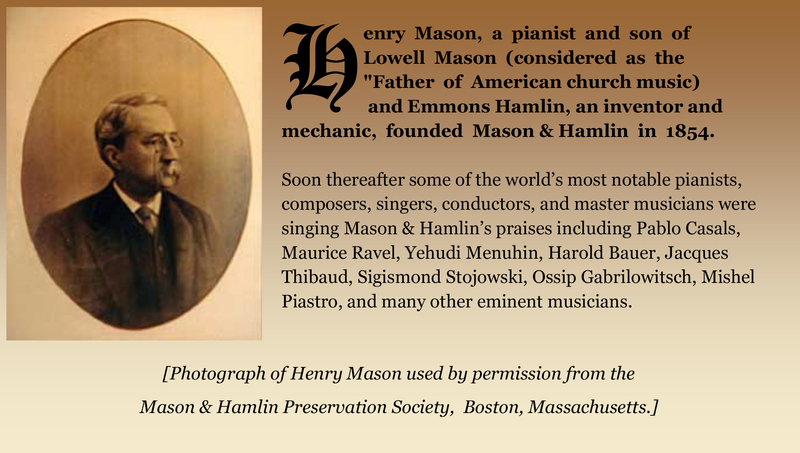 But the “powerhouse” standard bearer in Mason & Hamlin’s family of pianos...since the company’s early beginnings in Boston...has been its seven-foot BB semi-concert grand. The highly-respected design and craftsmanship of Mason & Hamlin pianos has been filmed for television documentaries in the United States and Canada by Discovery’s The Science Channel.